The private sector pension system in the United States represents trillions of dollars in assets and is a key source of financial security for millions of Americans. To promote transparency and enhance retirement security, legislation and regulations require that plan sponsors provide numerous reports to Labor, IRS, and PBGC, and numerous disclosures to plan participants. 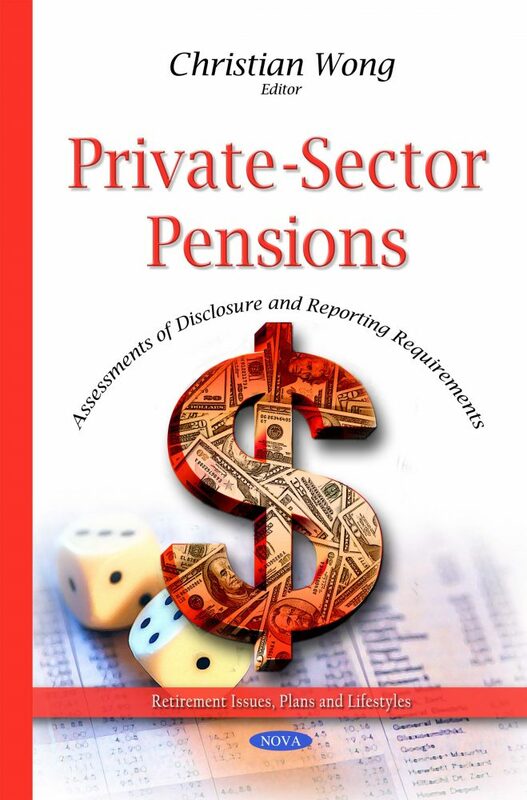 This book examines the reports and disclosures pension plans are required to make to government agencies and plan participants; the ways, if any, reports to agencies may be inefficient or ineffective; and the ways, if any, disclosures to participants may be inefficient or ineffective. The book also discusses the extent to which law and regulations permit electronic disclosure to participants; explores the reported advantages and disadvantages associated with electronic delivery; and evaluates the weaknesses identified, if any, in the agencies’ electronic delivery requirements.